Many important archaeological finds are a result of chance events and good fortune. 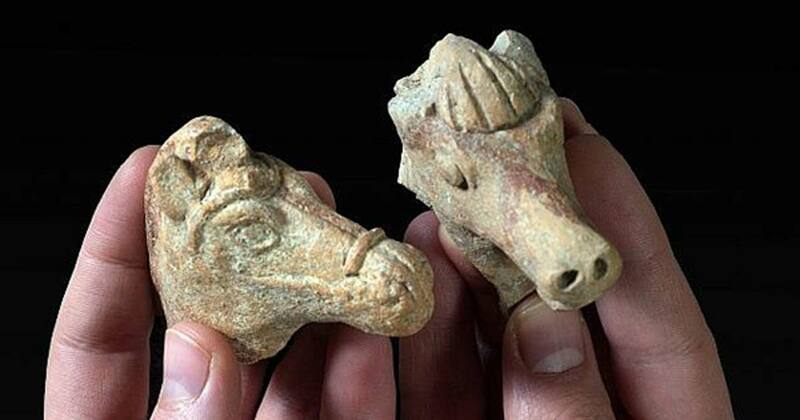 In Israel, two clay horses’ heads which once were part of equine sculptures have been found by sheer luck. They were only uncovered because of heavy rains and floods which exposed them in the ground according to the Israeli Antiquities Authority. These artifacts come from two different historic periods and are allowing experts to understand the importance of the horse in these distinct eras. HAARETZ reports that “after years of drought, it’s been raining hard in Israel this winter.” This has led to flooding and land subsidence in some areas. These rains have resulted in some historic artifacts long buried being revealed, including the two clay horses’ heads. There is also the possibility that the items were revealed by the burrowing of some creature, such as a porcupine. The two artifacts were made by the baking of clay and they measure only a few inches across. The equine heads were found in December 2018 by people at two different locations. According to World Israel News , one was found at “​​Kfar Ruppin in the Beit Shean Valley.” It was by a remarkable coincidence found by an archaeologist employed by the Israel Antiquities Authority, Ayelet Kidder-Goldberg, when she was out with her two young daughters picking mushrooms. Her daughter spotted the clay head and Kidder-Goldberg instantly knew that it was important and judging by its style that it was about 2,800 years old. This would mean that it was made in the Kingdom of Israel (9th to 7th century BC), whose history is well-known from the Bible. The second head was located near Tel Akko , which was once the site of an important city in the region. This find was discovered by a man from nearby Acre, who alerted the relevant authorities as required by law. 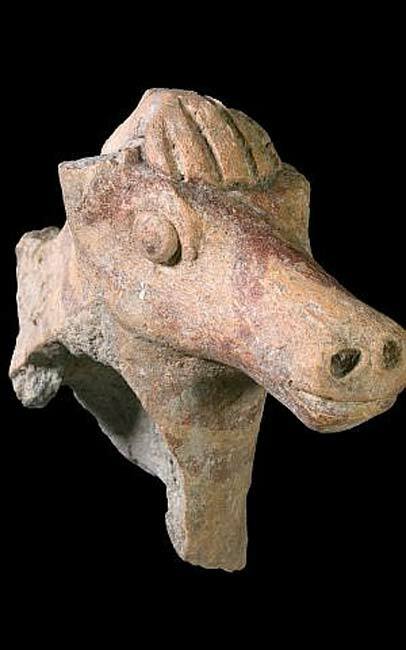 This representation of a horse’s head dates from the Hellenistic period, when the modern land of Israel was part of the Empire of Alexander the Great and later occupied by the Ptolemies and Seleucids. The two clay artifacts underwent a “preliminary inspection by University of Haifa archaeologist and art historian Dr. Adi Erlich”, reports the Times of Israel. The horse was a very popular subject in Iron Age art and crafts. This was because they were very important in the warfare of the region. There are many references to the use of horses by Hebrews and their enemies in Biblical battles and they continued to be very important in warfare in the Hellenistic period. The two heads are very similar as both sadly lost their bodies, but they have features that indicate what the original figurines looked like. The Hellenistic era figure has a harness which would show that it was originally made with a rider. There was a hand found on the mane of the discovery that is dated to the Kingdom of Israel, which would demonstrate that it was sculpted with a rider also.